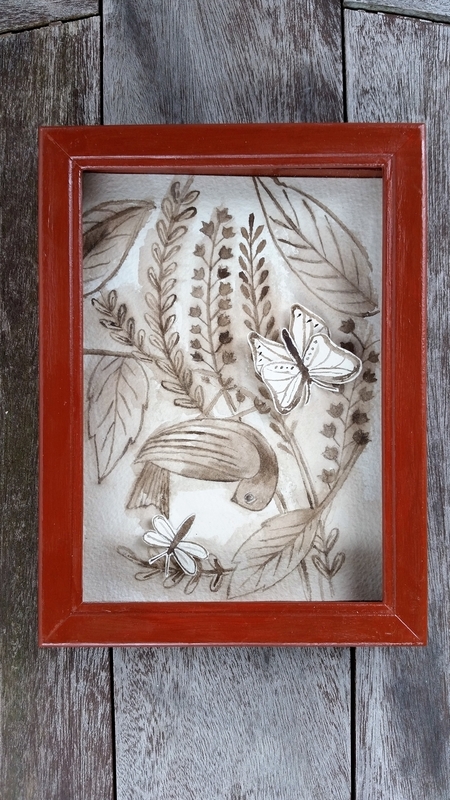 I paint and mount watercolor butterflies on textiles or paper. I then display them in hand-made shadowboxes. My work combines elements that I find fun - painting, fabric, color and construction. 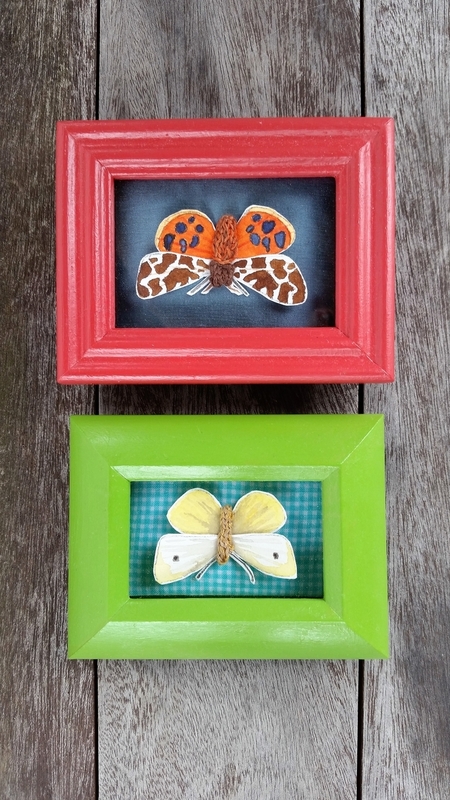 No butterflies are harmed in the making of my boxes!